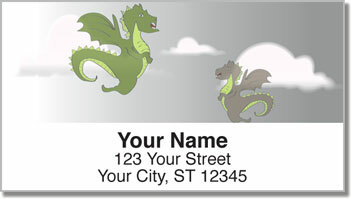 Dragons are one of the most recognizable characters of the fantasy genre. They are magnificent beasts that make legends out of mere mortals. But it takes more than brute strength for the hero of the story to defeat a dragon. A sharp wit and fast thinking are just as important as a sharp sword and a speedy horse. 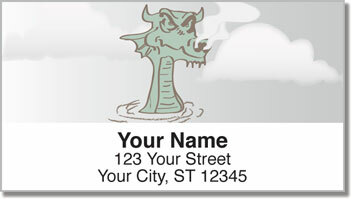 Dragon Address Labels from CheckAdvantage are a fun choice for both noble knights and humble knaves...because either one could slay the deadly dragon and save the fair maiden. Use these unique labels to save time preparing your outgoing mail. 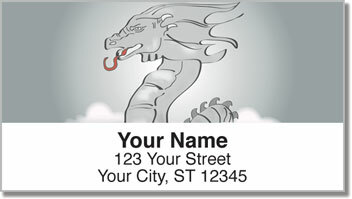 Thanks to a self-adhesive backing, you'll never need to write your name and address on an envelope again! 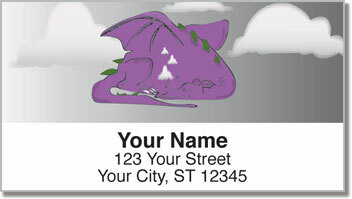 Order your own Dragon Address Labels today! Get a matching personal check design to complete your journey!